Writer in Residence: When is a Painting Not a Painting? Writer in Residence: Why Won't Painting Go Away? 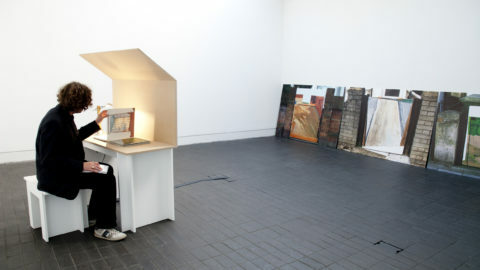 New works by three outstanding early-career painters brought about by the biennial Jerwood Painting Fellowships. The collection of works seen in this group exhibition for the first time varies in scale from small canvasses to large-scale works and is the product of three diverse and individual voices. Clare Mitten’s practice combines 3D paper and cardboard sculptures with gouache paintings and collage to explore the abstraction of shape and mechanics. 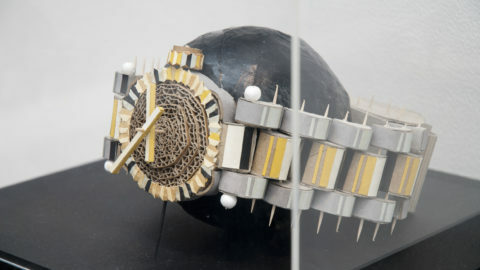 Starting with rudimentary sculptures, Clare then uses painting almost as a drawing technique to respond or re-evaluate the subject of her 3D works before creating a final collage informed by both previous stages. 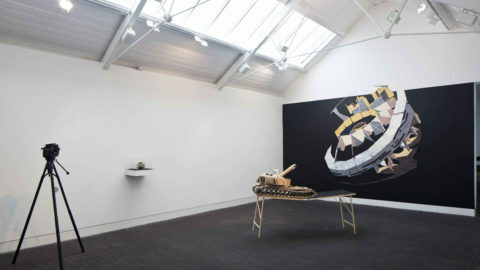 Her work for the exhibition features a series of pieces loosely connected by form, which take the mechanics of a watch, tank and car and develop them into abstract, geometric images. Cara Nahaul’s work uses photographs taken in her grandfather’s homeland of India as source material for a series of portraits in oils. Ranging in subject matter from anonymous figures to Pakistan’s assassinated female prime minister Benazir Bhutto, the portraits explore both Cara’s own heritage and the politics of partition. A subdued palette, thin washes of paint and bare sections of canvas make the subjects feel haunting and distant, referencing not only the secondhand nature of photographic sources but also the artist’s attempts to fill gaps in her personal history and knowledge. 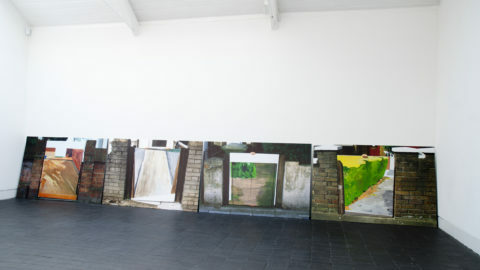 Corinna Till’s Gateway Series combines painting and photography to depict the thresholds between public and private spaces. Photographing domestic gateways that catch her eye, Corinna uses the shots to create impressionistic paintings on sections of cardboard. With the help of an assistant, Corinna then photographs these canvases held in complementary gateways, fingers visible, matching and contrasting colour, texture and structure, to create a real-life collage. 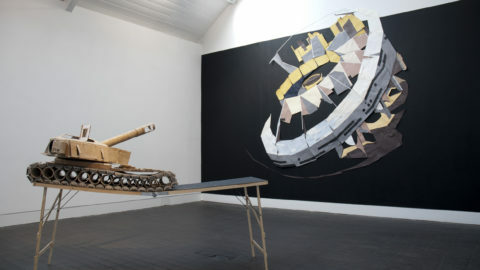 The three artists were selected through an open call to UK-based painters within five years of establishing their practice. Chosen to undertake a year-long mentorship, each was paired with an eminent UK painter, respectively Paul Bonaventura, Chantal Joffe and Stephen Farthing RA, and received support and advice from the Jerwood Visual Arts team. In this first edition of the Fellowships, each artist received a £10,000 bursary to support the making of new work for the exhibition. The Jerwood Painting Fellowships were established in 2010 to provide critical support for exceptional painters embarking on their professional careers. 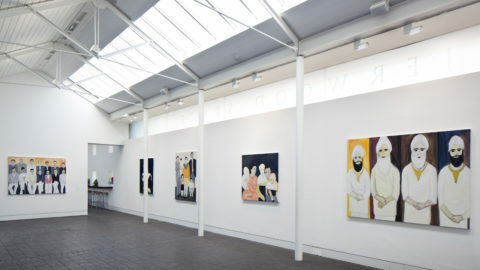 Alumni include Anthony Faroux, Susan Sluglett and Sophia Starling mentored by Paul Bonaventura, Stephen Farthing RA, Marcus Harvey, Chantal Joffe, Mali Morris RA and Fabian Peake.